(Photo: © Peter Kenny)The Muslim President of Albania Bujar Nishani hosts a function for a gathering on Christian Persecution by the Global Christian Forum on Nov. 4, 2015 at the presidential palace in Tirana. Watching the president, to his left, is Rev. Larry Miller, Secretary of the Global Christian Forum. 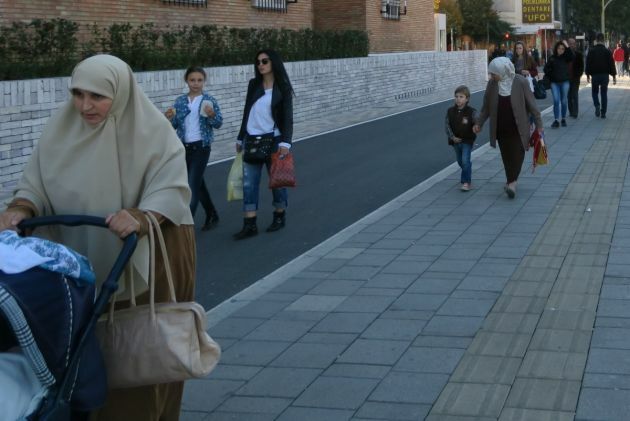 The United Nations Special Rapporteur on freedom of religion or belief, Ahmed Shaheed, has praised the Albanian Government's policies and practices to promote and protect interreligious harmony and co-existence in the country. 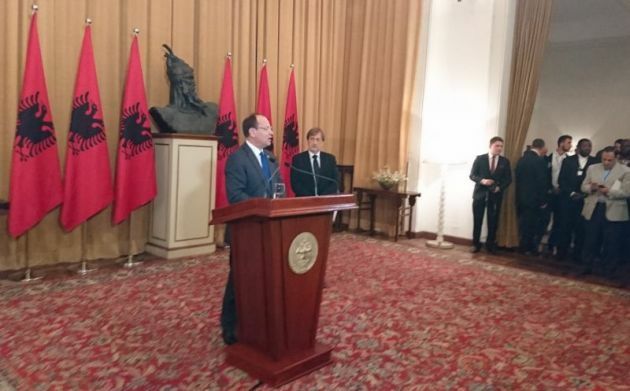 However, he noted that Albania's multi-religious society faces many challenges, including democratic consolidation, economic and social development, as well as those related to rapid globalization.. Under the iron-fisted communist rule of Enver Hoxha from 1944 until his death in 1985, Albania effectively wiped out religious institutions in the country and had banned all public expressions of religion by the eighties. Among them, the expert noted the State's neutral position towards the religious or belief communities in the country, and the positive, respectful and inclusive engagement of religious communities with the State. He also drew attention to a robust legal framework that guarantees the freedom of religion for all in all its dimensions; the promotion of societal attitudes of mutual respect across different religious and belief communities; and a genuine societal commitment to interfaith solidarity and cooperation. The UN expert also noted the rapid reconstruction of the religious infrastructures and the revitalization of spiritual leadership that has taken place since 1990, and expressed hope regarding the apparent absence of political mobilization along religious fault lines. "In this regard, I recommend the Albanian authorities to speed up the restitution of properties to boost the capacity of religious communities to carry out their functions," he said. "The high degree of inter-religious marriage and social, political, economic and residential intermingling, suggest that the ethos of 'living together'....in mutual respect and harmony was not just a slogan, but a deeply-held value for many Albanians," he noted. He said there was also a "very low number" of reported cases of discrimination on account of religion or belief. "I call on the government to continue the country's trajectory towards democratic consolidation especially strengthening the rule of law," the Special Rapporteur said. "I encourage it to pursue the priority dimensions of its national strategy on the prevention of violent extremism, especially introducing respectful civic education on religions, managing increasing religious diversity, and investing in social inclusion." During his 10-day visit, Shaheed met with members of the government, civil society, international organizations, foreign diplomats, human rights organizations, religious communities, and minority groups in a range of meetings conducted in Tirana, Kavaje, Korce, Girokaster and Shkoder.